Stand up to the toughest challenges. Our ruggedly durable boots that feature a Vibram® outsole will provide you with a lightweight and longwearing sole that will hold up the longest days and most uneven terrain. Our boots can also keep you warm with 3M™ Thinsulate™ or dry with GORE-TEX®. Our ruggedly durable boots that feature a Vibram® outsole will provide you with a lightweigh"t and longwearing sole that will hold up the longest days and most uneven terrain. 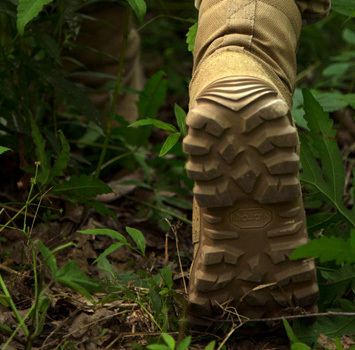 Our boots can also keep you warm with 3M™ Thinsulate™ or dry with GORE-TEX®.